"Close to the a lot of the bars and clubs, great spot." 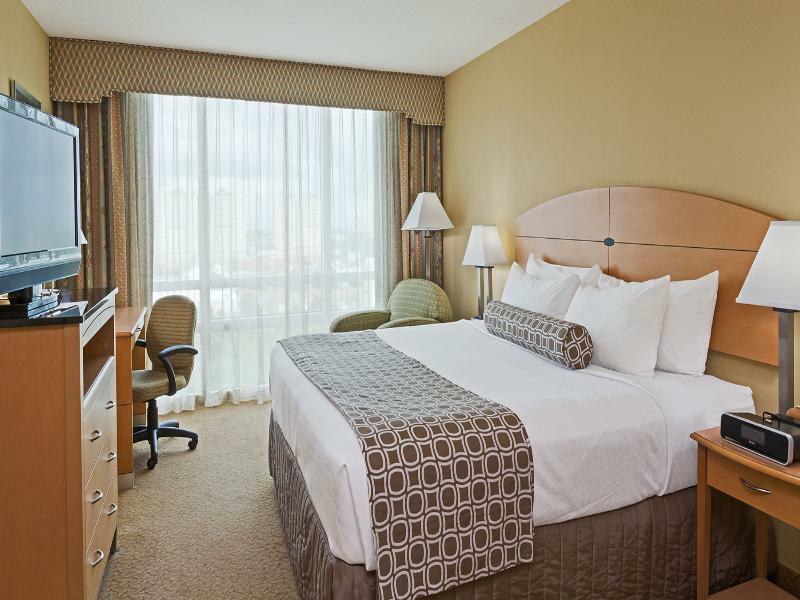 Located off Interstate 4, Crown Plaza Hotel Orlando Downtown is just 4 minutes' walk from Church Street Station and 3 minutes' drive from the Amway Center. 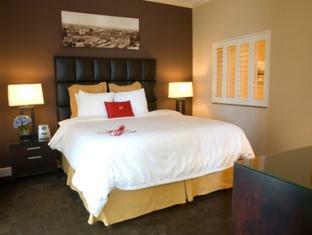 The non-smoking hotel offers an on-site restaurant, outdoor pool, and free WiFi. Rooms feature a microwave and coffee machine. 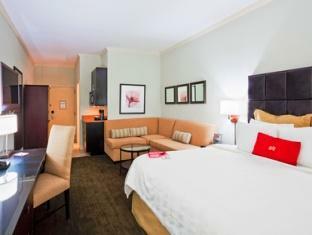 A 42-inch flat-screen TV and a private bathroom with a hairdryer are also included. A fitness centre with cardio machines and weights is available 24 hours per day. Guests can access computers at the business centre. Bite Bistro and Wine Bar offers American cuisine for breakfast, lunch, and dinner. The full bar has cocktails, wine, and beer as well as a daily happy hour. In the surroundings, Lake Eola Park and Dr. Phillips Center for the Performing Arts are each 5 minutes' drive away. 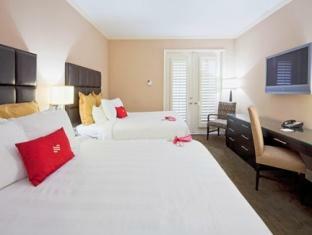 Universal Orlando is 10 minutes' drive away, and SeaWorld Orlando is 20 minutes' drive from the Crowne Plaza Hotel. "All in all great hotel." If booking a meal plan rate, please note that Breakfast Included rate includes breakfast for 2 adults. Additional charges apply for further guests. Guests are required to show a photo identification and credit card upon check-in. Please note that all Special Requests are subject to availability and additional charges may apply. I was greeted with a warm face. Every employee I came into contact with was polite and helpful. We get to our room quickly but didn't feel rush. The bed was uncomfortable to say the least. The room had an awful smell. I'm not sure if they were having sewer issues but the smell was unpleasant. We were staying for one night only and leaving at 8am the next morning. We had about an hour before we needed to leave the hotel for our outing and purpose for the trip and decided to live threw it. I can only imagine that I was given a room that has issues and not that all rooms smell of sewer with a bed as hard as wood. You pay $16 for self parking . Close to the a lot of the bars and clubs, great spot. Awesome staff at the reception and in house Bar. Minibar was not working in the suite and the person on duty was only willing to bring a bucket of ice. All in all great hotel. not good the hotel is very disappointing, small lobby, old look, poor quality, very very bad food, they only have three type of breakfast which they say it's included. it only deserve 2 stars hotel I honestly, thought that the hotel is good it was very bad in all aspects. Super comfortable beds. 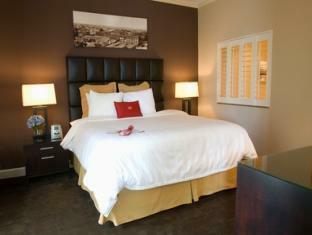 Clean, Large size rooms and shuttle to downtown happening area takes 3 min.you can use shuttle till 11pm. but taxi costs you max 6 usd on the way back One of the best for Orlando . Exactly value of money . Nice staff, speedy free internet. 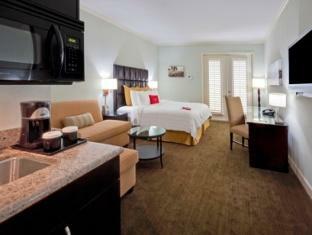 Don't miss this hotel if you are going to stay at Orlando. 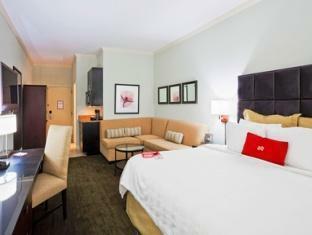 The hotel was very good located in Down Town Orlando. The standard of service was very good and the personal working there was very friendly and serviceminded. You had to have a car or You have to use taxiservice when You move around in Orlando, Florida. The barstreet in the Down Town area is the only thing that is so close that You might walk there. The bar and the restaurant as the outside pool in the hotel were all very good and served their mission. 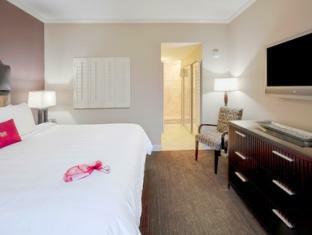 The cleaning of the room was very well done and was made so that the hotelquest never was disturbed. All in all a very good experience. Good service and nice& clean hotel, easy acess to serrounding area, the coffee house offerred various of food selection with resonable price. Close to Lam's Garden, a genuine Chinese restaurant. went to orlando for working (dema show 2011), the staff are very nice. super fast and stable wifi. nice lake nearby! Das Hotel und das Zimmer an sich entsprach unseren Erwartungen, jedoch war an geruhsames Schlafen nicht zu denken, da das Hotel zwischen einer mehrspurigen Autobahn und einer Hauptverkehrsstrasse liegt. Die Autobahn wird auch Nachts stark befahren. Das Badezimmer hätte einer Sanierung bedurft. Selbstparken auf dem Hoteleigenen Parkplatz kostet extra. Das Hotel ist im Zentrum von Orlando gelegen, 10-15 Minuten zu Fuss von der Amway Arena entfert. Die Zimmer sind gross und schön und der Service ist dementsprechend gut. Leider sind die Zimmer richtung Highway recht laut. Unbedingt nach einem ruhigen Zimmer (falls es das gibt) fragen. We hadden een mooie grote kamer met een heerlijk groot bed op de 10e verdieping. Dat was allemaal top! Helaas lag de kamer aan de zijde war twee (snel)wegen aan liggen, en ook nog vlakbij een treinstation, waardoor we veel herrie-overlast hadden, en daardoor zeer slecht geslapen. De geluidsisolatie van de kanmer naar buiten toe was erg slecht.